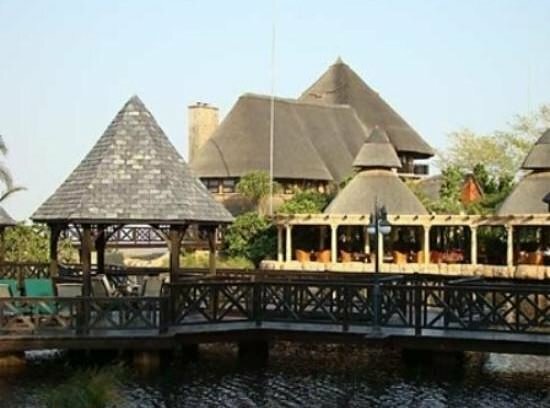 For those traveling to Manzini Swaziland, there are a number of great hotels available for you. These hotels offer you some of the most beautiful scenery and great features that will make your stay unforgettable. When coming to Manzini it is important that you find the best of the best in hotels and accomodations. These hotels will ensure that all of your needs and wants are met. There are a number of hotels that are 5 star quality and affordable. Many people assume that you have to pay more for quality, and this is not the case. Many of the 5 star hotels in Manzini Swaziland are cost effective. If you are looking for a great option for a hotel and accommodation, than the Summerfield Luxury Resort and Botanical is the a great place to start. This hotel is gorgeously designed and offers you a taste of the local lifestyle. The Summerfield Luxury Resort offers you luscious gardens overlooking the beautiful Botanical garden. This five star hotel will allow you to enjoy the finer things in life. The rooms are designed to be incredibly plush and comfortable, with large king sized beds and oversized baths. The hotel is located near the Kingdom’s main tourist attractions, shopping malls and outlets. The hotel has won many awards for its outstanding service and beautiful surroundings. The hotel offer four different types of rooms that are all unique and beautifully designed. These rooms are: The Garden Villa Suites, Executive Suites, Luxury Suites, and Dove’s Nest. The Garden Villa Suites offers you two large bedrooms that both have King Sized beds. There is also a tea room and a lounge room for entertaining guest. These rooms come equipped with high definition televisions, telephones, private entrance as well as mini bar with fridge. The Executive is designed with two different twin bedrooms and a shared closet space. These rooms comes with a beautifully designed patio overlooking the hotel. As a convenience to you, there is also a laundry and cleaning service available to you. This will ensure that any clothes that you need washed, pressed or dried can be done for you. The executive also comes with a dressing room and a full body mirror. The oversized bathroom comes with two separate showers, and double vanity. Finally you will receive a satellite television with over a hundred different channels for your enjoyment. The Luxury Suite offers you two twin sized beds and a view of the garden. This room comes with all of the standard amenities that you would expect. This includes a very large and spacious bedroom with an satelitte television. The television offers you high definition television quality and surround sound. There is also in room internet access that allows you to connect your laptop and other portable electronics. Mini bar with small fridge as well as a air conditioning switch that is easily adjustable. For disposing your valuables there is a room safe that only you will have access to. The Dove’s Nest is perfect for couples looking to add some romance and flair to their Manzini vacation. This room is designed to offer the stayers a very intimate and comfortable arrangement. There are two spacious bedrooms with king sized beds that will accommodate to people sleeping in them. Like the other rooms this one comes with a satellite television, comfortable patio area overlooking the gardens and room safe. However, with this room you will have access to your own personal garden as well as your own private entrance into your room.